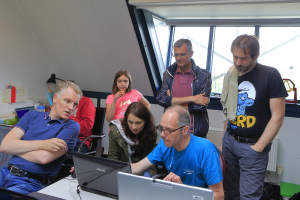 Saturday, June 10, we tried to ‘save’ three satellites using the Dwingeloo Radio Telescope. They are all part of the QB50 mission, fifty small satellites that have all been launched very recently. Universities or colleges build most. They explore the lower thermosphere, an air layer of the atmosphere between about 200 and 380 kilometer altitude. Two Australian satellites and one South African satellite showed absolutely nothing. That is why CAMRAS was asked by the University of New South Wales (UNSW) in Sydney if we could make a rescue attempt. By e-mail we discussed the details and the technique to send commands that could make the satellites possibly ‘talk’ again. These were commands of a few ‘computer beeps’ on 435 MHz (70 centimeter) of less than a second, which ordered the satellite to expand the antenna. We heard nothing from two satellites and there was no response to our commands. 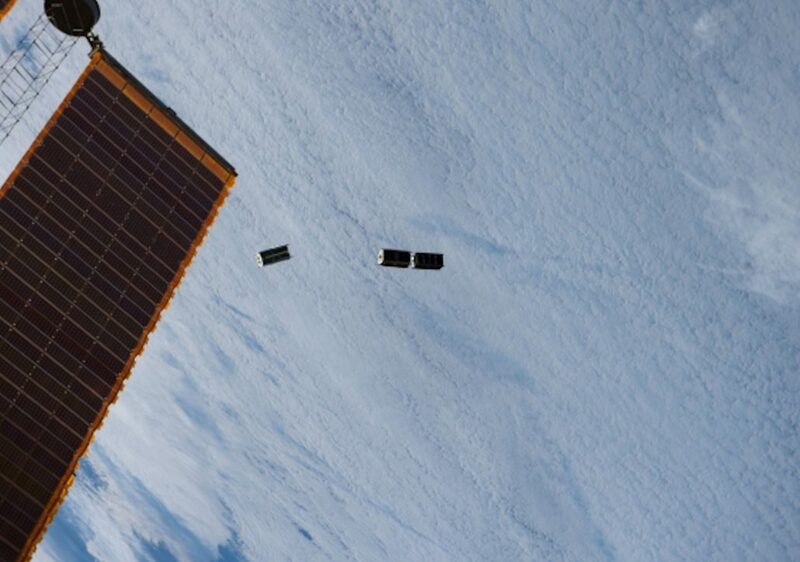 We received a very weak signal from one satellite (the i-INSPIRE-2) which remained so after our commands. Afterwards we went home with the feeling that we did not succeed with any of the satellites despite our best efforts. However, great was the surprise when it turned out that the INSPIRE-2 had come to life through our signals! It only took a while before the sent command ‘unfold antennas’ had been fully implemented. By then the satellite had already disappeared behind the horizon. 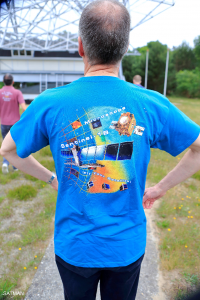 Next day, when the satellite flew across Europe, I received very strong signals at home! The satellite has been heard in Australia also. In addition, UNSW received reports from all over the world that the satellite was heard loudly! Moreover, all data were as expected. The satellite is just one hundred percent OK! With our outstanding dish antenna in Dwingeloo we could give the satellite a stronger signal to expand the antenna than the scientists in Australia. 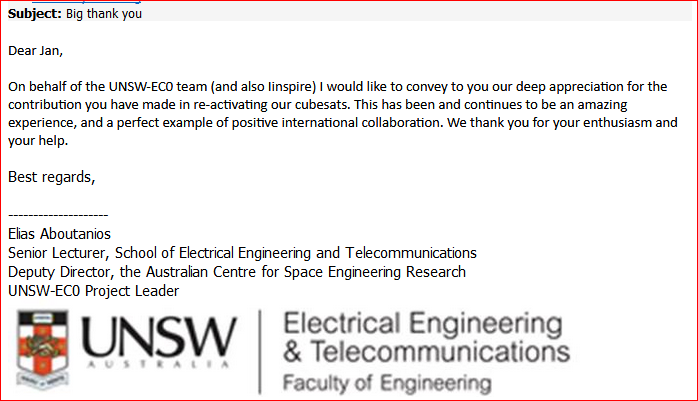 Meanwhile on Saturday June 17, we also succeeded with the other Australian satellite (the UNSW-EC0). The South African satellite (the ZA-AEROSAT) is of a different type that does not receive 70 cm. The German radio amateur Reinhard Kuehn (DK5LA) succeeded in waking up this satellite at 145 MHz (2 meter) last Sunday, July 2. 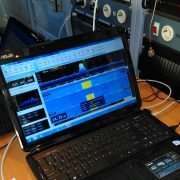 Of course these successes led to the necessary media attention, among others (all three in Dutch), RTVDrenthe Satellite saved by Drenthe radio telescope and Drenthe radio telescope rescues satellite and the Dagblad van het Noorden Amateurs Dwingeloo rescue satellite and many thanks from the i-INSIRE-2 and UNSW-EC0 teams. See also the article i-INSPIRE-2 activated by Jan van Gils (PEØSAT) and the article UNSW in thrilling rescue of ‘lost’ Aussie satellites of the Australian scientists published in the UNSW Newsroom.